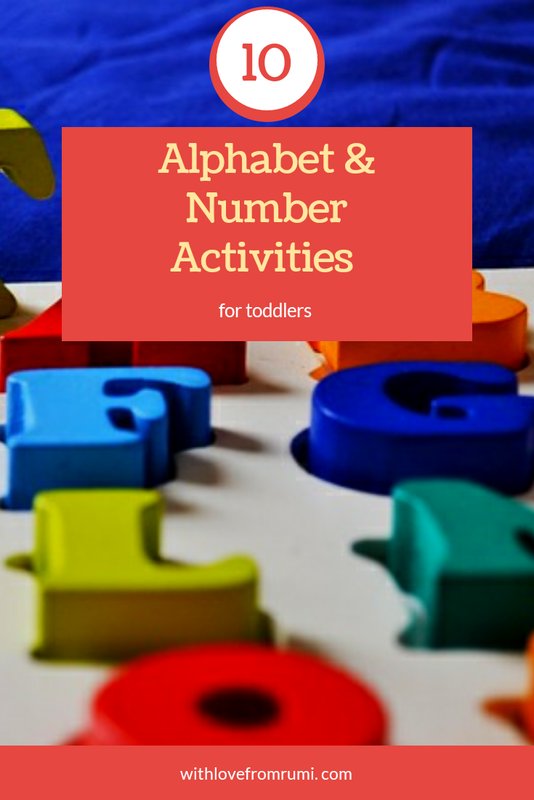 Are you a new mother and searching for ideas about how to teach alphabets and numbers to your toddler? Then you have come to the right place. Teaching English alphabets to toddlers or preschoolers in a non-English speaking country is sometimes may tougher for some mothers. But don't take too much stress and don't force your child. 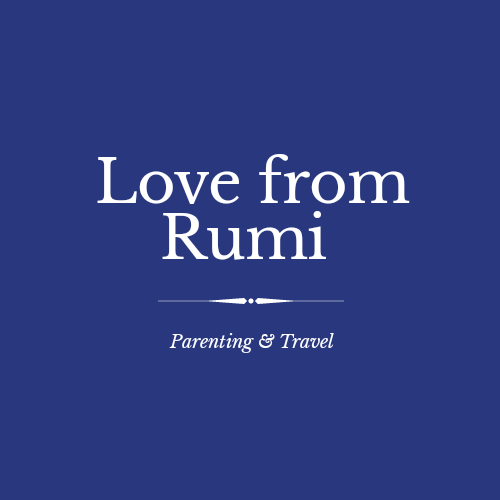 Generally at the age of 2, toddlers started to learn and remember things. But giving too much force in learning alphabets and numbers may affect your toddler's mental health. So just relax and follow the following 10 simple steps to teach your toddlers the basic English alphabets and numbers. 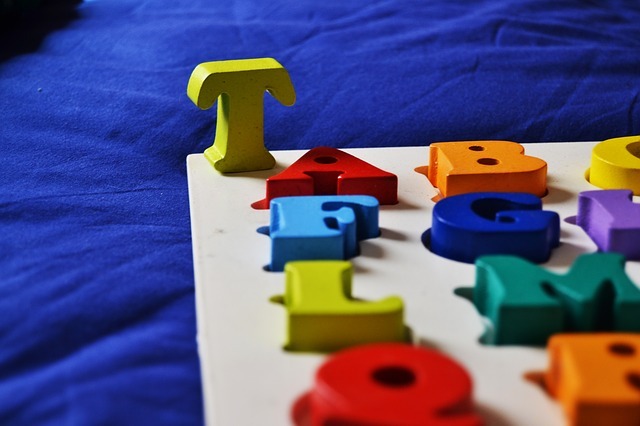 Start teaching alphabets in a fun way. Sing the ABC alphabet song just like a baby to attract your toddler. Ask him to sing with you. Toddlers easily remember anything which is taught by singing. Use your mobile phone to play alphabet songs and other nursery rhymes. Use your computer or television to play videos of the alphabet songs and rhymes. If you have an older kid, then ask your older one to teach his younger sibling. Toddlers learn from young kids easily. Buy alphabet books to your toddler. Yes there may be a chance of tearing and destroying the book by the toddler. But don't worry, buy them those stuffs as reading alphabet books may help your child to learn alphabets visually. Alphabet picture book is another amazing way to teach your toddler to learn alphabets visually. Picture attracts toddlers. Teach them atleast a word from each letter, like A for apple. 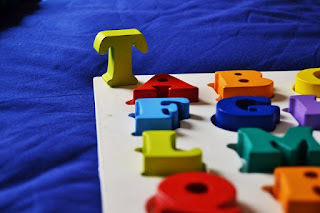 Alphabet letters and puzzles are great tools to teach your toddlers to know and identify the letters. Mix all the letters and ask him to find out a particular alphabet. Or sometime saw him a letter and ask 'which letter is this?' bring colourful letters or puzzles. Give them to play with those puzzles. Everytime they play just tell them which letter it is. Repeat every letter after some interval. This way toddlers will easily remember the shape and sound of each letters. Teach alphabets and numbers to write by colouring them. Draw alphabets and numbers and ask your toddler to colour it with their favorite colour. That's way they will learn the curves in each letter. Buy alphabet colouring sheets or download it from the internet. You can also make your own alphabet colouring sheets for your toddlers. Use large colouring sheets. It's very fun and I'm sure your toddler will definitely like it. In a fun way teach your toddler numbers by singing number rhymes like 'one two buckle my shoe .. ' Ask them to follow you and recite after you. Tell your toddler to sing alone. Singing makes learning fun and easy. Toddlers can easily remember wherever taught them by singing. So sing nursery rhymes and number rhymes with them like a baby. Sing it while playing, eating, bathing, brushing etc. Use number books and also picture number books. Reading number books can help toddlers learn numbers visually. Using mobile and televisions videos to teach toddlers numbers is another amazing way. It helps toddlers to learn things visually. Learning visually is easy and fun. The easiest way to teach toddlers numbers is to use real life scenarios. This way you can teach your toddler numbers without any pressure and without them realising that they are learning numbers. Teach them to use their fingers to learn numbers. Learning to count 1 to 10 is more than enough for a preschooler. Ask your toddler to count the number of furnitures , curtains, rooms, family members etc. Number games and puzzles are awesome tools to teach your toddler number counting. Teach then to identify numbers while playing. Pick one number and ask them what number is this? Repeat every number after some intervals. This way without much effort you can teach your toddler to learn numbers while playing and making fun.